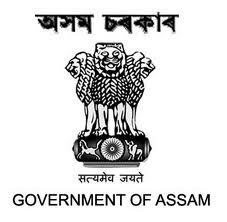 DHS Assam Recruitment 2018. Directorate of Health Services (DHS) Assam has released a notification for the recruitment of Grade IV vacancies. Check the eligibility and notification prior to applying for the positions. Last Date for Submission of Application is on November 16th, 2018. Class VIII passed candidates can apply for the said posts. Minimum 18 years & Maximum 44 years of age can apply for the Grade IV Posts. The Salary will be Rs.12000/- to Rs.37500/- per month for Grade IV Posts. The Selection Process will be based on the basis of Written Exam for the said Post. The Applying Process will be based on Online Mode for DHS Assam. 16th November 2018 is the last date to apply for the post. https://dhs.assam.gov.in/ is the link to apply online.